It's been a long time since I've made a post here, I'm currently going through through the books, and scanning and editing, so expect to see more soon. 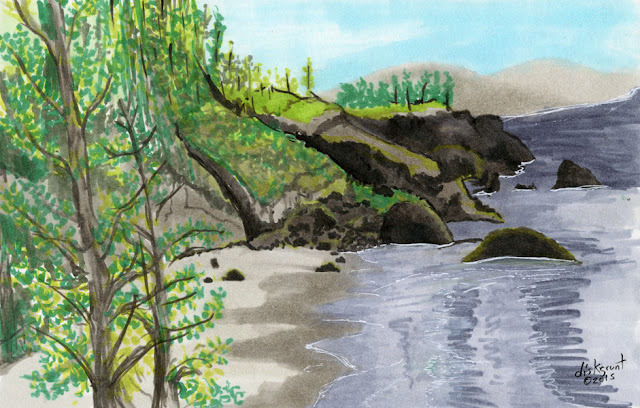 Till then, I thought I'd share this recent sketch I made on an impromptu trip down to the Oregon Coast. Indian Beach is a great little hiden gem for surfers, hikers and beach goers. Just far enough north of canon beach to keep the crowds low, but not so far that it's a hassle to get to. More monsters, rats, and drunk'n drawings coming soon!